Looking for a New Cadillac XT5 in your area? 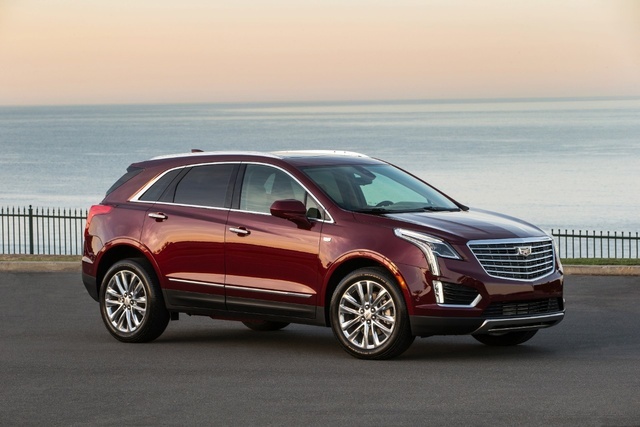 CarGurus has 977 nationwide Cadillac XT5 dealers with 61,976 new car listings. The Cadillac XT5 combines versatility and luxury in a sharply styled midsize SUV package. The XT5 boasts solid cargo space, the latest in-car tech, and standard V6 power to make it a compelling option against rivals like the Lexus RX350 or Acura RDX. 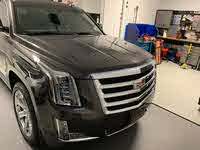 The XT5 stands out with uniquely Cadillac styling, characterized by a large grille flanked by headlights with LED accents that run from the top of the lights all the way down into the bumper. Out back, the side windows come down from the roof in a similar fashion as the Cadillac Sedans. The taillights also appear to be inspired by Cadillac’s road cars. Chrome roof rails and dual chrome exhaust outlets round out the upscale and sporty appearance of the XT5. The cabin of the XT5 has a clean, flowing, futuristic design. The dash panel and steering wheel both exhibit a floating “V” design, a style shared with the rest of the Cadillac lineup. The XT5 provides 30 cubic feet of cargo space behind the rear seat. With the rear seats folded, storage increases to an impressive 63 cubic feet. Trims for the XT5 are Base, Luxury, Premium Luxury, and Platinum. The Base trim comes very well equipped, including 18-inch aluminum wheels, rear power liftgate, brushed aluminum roof rails, and remote keyless entry. Inside, the Base trim features an 8-speaker Bose audio system, wireless charging pad, and Bluetooth hands-free calling. It also comes with 4G LTE Wi-Fi capability, dual-zone climate control, and a push-button start. In the middle of the range is the Luxury trim, which adds leather seating surfaces, heated front seats, heated steering wheel, and front-and-rear parking sensors. It also boasts rain-sensing windshield wipers, an auto-dimming rear-view mirror, and interior accent lighting. A nice addition to the Luxury trim is the UltraView dual-panel moonroof, providing plenty of natural light for all five passengers. Next up the line is the Premium Luxury trim. It comes with everything from the Luxury, but adds 20-inch aluminum wheels, an upgraded performance suspension, LED headlights with automatic high beams, upgraded 14-speaker Bose stereo system, ventilated front seats, and a navigation system. Other models have a touch screen, but this comes with the embedded navigation standard. While Premium Luxury is meant to be a slight jump from the Luxury, the Platinum is meant to top out the range. This trim comes with a customizable digital/analog instrument display setup, in which speedometer and tachometer are traditional gauges, but between them is a color digital panel. This display allows you to cycle through various menus and display styles using a directional pad on the steering wheel. The Platinum also comes with upgraded leather seating and additional leather on dash and door paneling. It includes a suede headliner, heated rear seats, tri-zone climate control, and a unique grille and exhaust outlet design. This top-tier trim also features a head-up display (HUD), projecting critical information on the windshield. Additionally, a hands-free power liftgate comes standard on the Platinum, allowing you to open the rear hatch if your arms are full of bags or gear. At the heart of the XT5’s dash is the CUE infotainment system. This 8-inch color touchscreen has easy-to-read menus, crisp fonts, and is housed along a smooth bezel for an extremely integrated design. The only engine available on the XT5 is a 3.6-liter V6 making 310 horsepower and 271 pound-feet of torque. Power is sent through an 8-speed automatic transmission, routing either to the front wheels or available all-wheel drive. Fuel economy with the FWD model is 19 mpg city, 26 highway, 22 combined. Fuel economy with AWD drops just 1 mpg in each category—to 18, 25, 21. Standard safety features include front-and-side impact airbags, a reversing camera, electronic traction control, a rear parking sensor, and five years complimentary OnStar. That subscription includes mobile apps, advanced diagnostics, and a dealer notification system. An innovative safety feature is the rear camera mirror. An additional rear camera is projected on the rear view mirror for a vivid view at what’s behind the vehicle. You can also get SurroundView, which consists of cameras on all sides with the ability to toggle through various views, depending on your parking needs. Other safety features include lane-departure warning, blind-spot monitoring, and forward collision alert with automatic braking. Perhaps the most unique Cadillac feature in the XT5 is the Safety Alert Seat. Portions of the seat vibrate on the side that corresponds to the direction of the alert. So if you try to merge left and a car is in your blind spot, the left portion of the seat vibrates. It sounds a little odd, but it is an incredibly intuitive method of keeping the driver informed. Base MSRP for the 2018 Cadillac XT5 is $41,190. The Luxury trim starts at $47,190, while the Premium Luxury trim starts at $53,690. The range-topping Platinum trim starts at $63,990. The Cadillac XT5 not only has plenty of luxury features and cargo space, but also the technology to make it an SUV that is as advanced as it is upscale and versatile. What's your take on the 2018 Cadillac XT5? Ron Love this car! We just got one in December and we love everything about it! Great for long trips or running around town! No complaints and would recommend it to anyone! 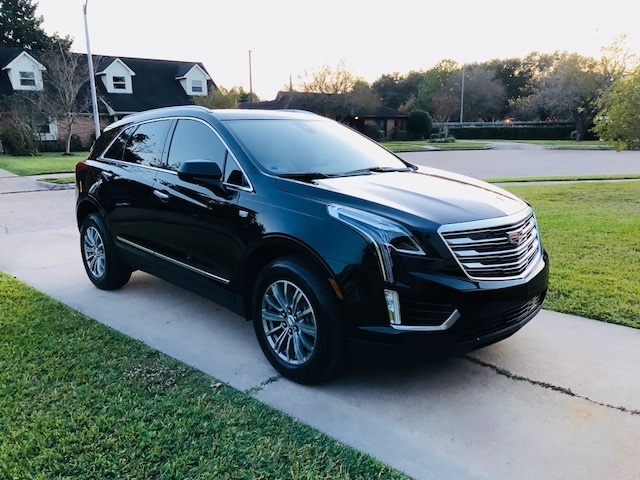 Have you driven a 2018 Cadillac XT5? Enter your zip to see incentives for a new XT5 in your area. Looking for a Used XT5 in your area? CarGurus has 23,167 nationwide XT5 listings starting at $19,965. Can you by pass engine start/stop by installing a trailer harness and light test device? If you are towing with a 2018 XT5 is the engine stop/start disabled?